Smartphones and tablets continue to ingratiate themselves with mobile phone users. Smartphones became the norm in the past couple of years, and now tablets too are settling into that territory. That’s according to data from research company Frank N. Magid Associates, which found that the number of US mobile phone users who owned or used a smartphone this year reached 74%, up from 58% the previous year. The tablet ownership rate among this group saw an even more dramatic increase, reaching above half of mobile phone users in 2013, up from 33% in 2012. The research company also found that Hispanics overindexed for smartphone and tablet ownership, with smartphone penetration hitting 87% among this group and tablet penetration reaching 60%. Those ages 18 to 34, unsurprisingly, also had significantly higher than average uptake rates for both smart devices. Water, water everywhere — just not in plastic bottles, says a town in the US state of Massachusetts. 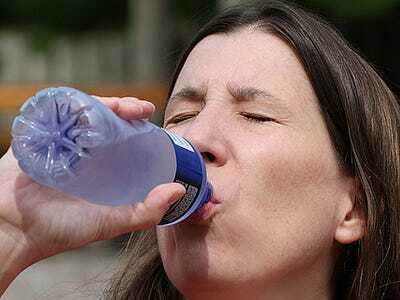 A law passed by the town of Concord went into effect with the New Year, making single-serving bottles of water illegal. The ban is intended to encourage use of tap water and curb the worldwide problem of plastic pollution. It only applies to “non-sparkling, unflavored drinking water.” Coke or other soft drinks are exempt. Jean Hill, an 84-year-old activist, thought up the ban, arguing that bottles fill garbage dumps, while consumers are lured into drinking water they could obtain for a tiny fraction of the cost at their own sink. “The bottled water companies are draining our aquifers and selling it back to us. I’m going to work until I drop on this,” Hill told The New York Times in 2010. First time offenders get a warning. Anyone caught selling the banned bottles a second time will be fined $25, and $50 thereafter. Please follow Law & Order on Twitter and Facebook. More than 30 percent of American adults use their tablet devices daily to read news. Over 15 percent read a book on their tablets every day, according to Pew’s Demographics Of Mobile News report. The Pew study excluded e-readers, which are sometimes lumped together with tablets in a single market. Interestingly, despite being trumped as a much ballyhooed savior for magazines, it seems few Americans regularly use a tablet to browse their favorite magazines (10 percent or less across age groups). Nonetheless, the findings point to a mobile future for reading. As we discussed last week, books and magazines are the fastest growing mobile content category by audience growth. News is the fourth largest content category by audience size and continues to show significant audience growth. Whether mobile growth in news and books will be able to make up for lost offline or desktop-based revenue is another question. E-books typically cost much less than their print counterparts, for example. 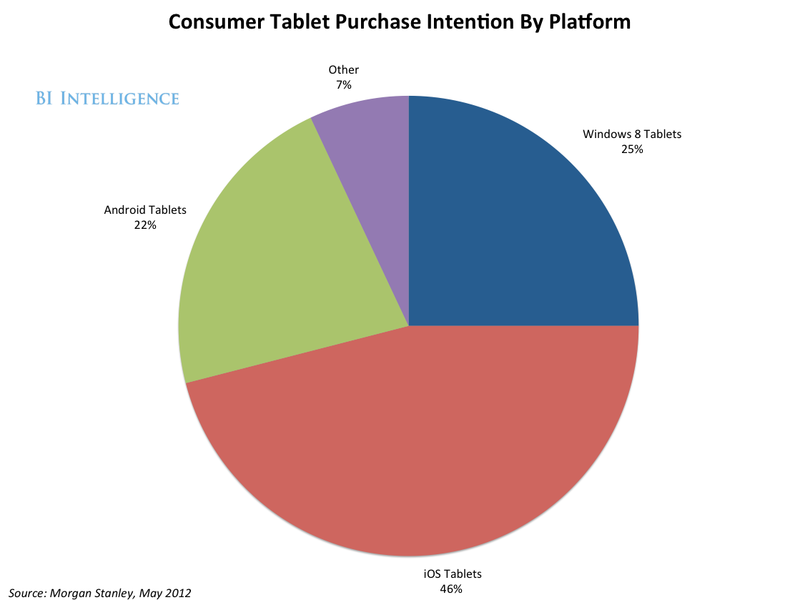 However, for ad-supported content, the huge growth in tablets sales should be welcome news because tablets are a much more promising ad platform than smartphones. Please follow www.businessinsider.com/research“>BI Intelligence on Twitter. The personal computer has met its match: the tablet. Ever since Apple launched the iPad in 2010, tablets have undermined the market for laptops and netbooks, and PC sales have been flat. Through all this, PCs managed to maintain one stronghold: the enterprise market. But even in the enterprise, the tablet has now risen to challenge the PC. 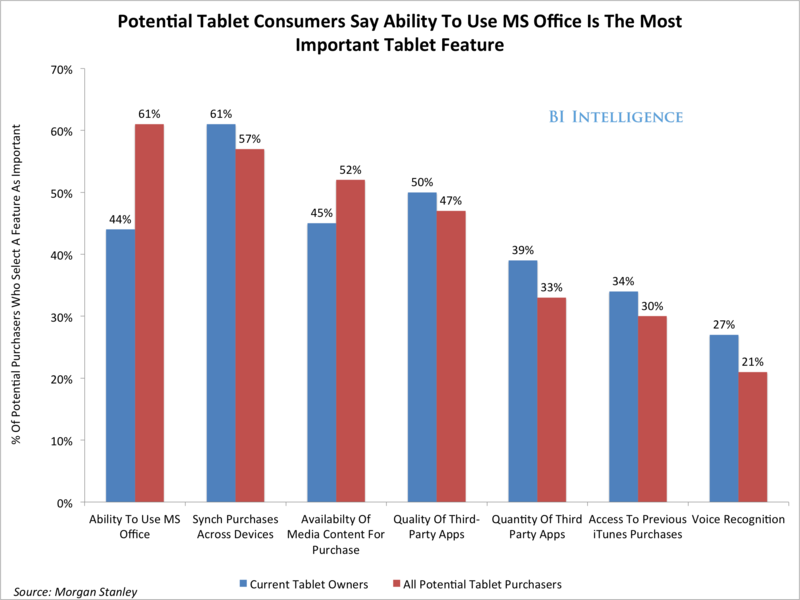 There is no longer any doubt that tablets are making inroads as work devices. The question is how the tablet advance will unfold. Will tablets create a brand new market for a “third device” that employees will use together with their PCs and smartphones, or will tablets cannibalize PCs by replacing them? The answer is that both trends will occur. Tablets will become a new third device for workers who already have company-issued PCs and mobile phones. These workers will use the cloud to sync their data across devices. Tablets will completely replace PCs for many workers such as sales staff that don’t require the processing power of stationary, desktop PCs. As tablets push into the enterprise, there will be new business opportunities for certain well-positioned players in the mobile ecosystem. The enterprise is Microsoft’s main opportunity to challenge Apple and carve out a place for Windows 8 as a mobile platform. As tablets proliferate in enterprise settings, developers and startups will find a deep and lucrative niche for new apps. Currently, few developers are leveraging tablets’ natural advantages as employee and productivity tools. Before we get into the specific role of tablets in office settings, let’s take a look at the overall tablet market and compare it to the PC market. Worldwide sales of tablets hit 65 million in 2011, according to BI Intelligence estimates. Sales will double this year to between 122 and 135 million units. By 2016 manufacturers will ship between 283 million and 442 million units. In all, three quarters of a billion tablets will be in use by 2016, according to Forrester analyst JP Gownder. This compares to 2 billion PCs in use, but it took the PC market more than 20 years to accumulate an installed base of 750 million people, according to Gownder. Tablets are on pace to accomplish the same feat in only six years. Just like their cousin, the smartphone, tablets are moving into our lives at a very fast clip. It is much harder to determine how many of these tablets are being bought by companies for distribution to their employees. But by all accounts, enterprise purchases will be a huge driver of tablet sales. While Forrester estimates that 12 percent of employees globally are already using tablets for work, a good percentage are using their own device, not one bought by their company. Companies, meanwhile, are becoming open to buying tablets for their employees. The same survey also asked what percentage of employees would receive company-purchased tablets. CIOs reported that 9 percent of employees were being issued tablets, but that the proportion would rise to 14 percent by April 2013 (see chart, below). In September, Apple CEO Tim Cook said that 92 percent of Fortune 500 companies are testing or deploying an iPad, so it’s safe to assume that most enterprises are at least exploring how tablets fit into to their workplace, even if they aren’t yet buying them by the thousands. 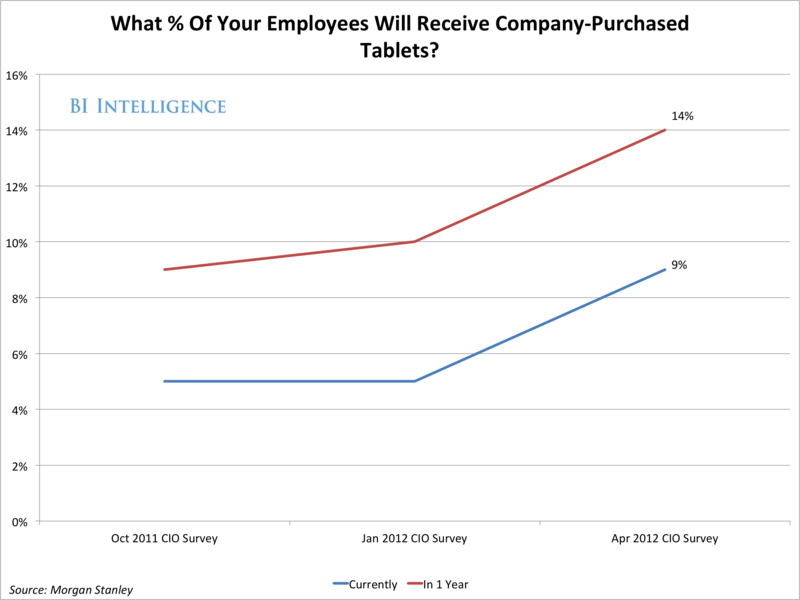 Employees are certainly asking for tablets. In 2012, for every three smartphones employees requested, they requested one tablet, according to a recent survey of 1,500 IT managers sponsored by Cisco. As for how many total units companies will really buy, there’s a wide array of projections. Infinite Research estimates enterprises pu! rchased 14 million tablets in 2011. 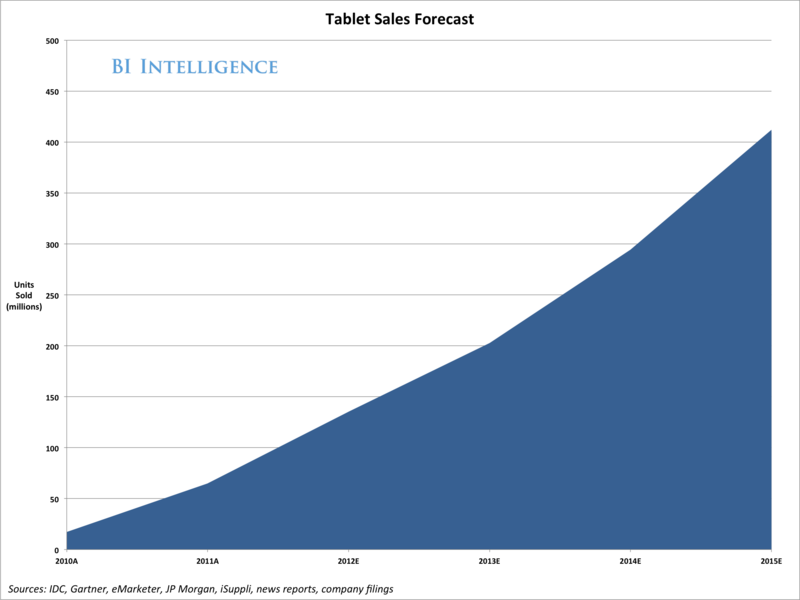 Enterprise demand will grow to over 96 million units in 2016 (or about one-quarter of tablet sales). McKinsey is more conservative about the weight of enterprise sales, predicting that business adoption of tablets will drive about 4 percent of total tablet growth to 2016. Whatever the growth drivers, Apple’s iPad and its iOS operating system (shared with iPhones) will continue to own the tablet market, at least for the next few years. But tablets running on Windows 8 are expected to pick up momentum by 2015 or 2016, in no small part thanks to enterprise adoption. In 2016, tablets running on the Windows 8 operating system will command about 10 percent of the overall tablet market, according to a forecast from IDC. Some consumer surveys point to potential for even larger Windows gains. For example, twenty-five percent of consumers said they intended to purchase a Windows 8 tablet in a Morgan Stanley survey from 2012. Of course, this Morgan Stanley survey focused on consumers, and not enterprise users. It was also conducted well before a spate of mixed reviews for the Surface, Microsoft’s own tablet designed to showcase Windows RT, the tablet version of Windows 8. Nonetheless, th! e survey shows that Windows remains a strong name with consumers. That’s important for the enterprise market because through the influence of Bring Your Own Device programs, employees have clout in deciding what hardware their companies adopt and support. If Microsoft plays its cards right, Windows 8 could grow fast beginning in 2016, because by 2016 many companies will have fully depreciated their Windows 7 PCs and be ready for an upgrade. If the enterprise version of Windows 8 proves popular with businesses, Windows 8 tablets could become a popular device to replace the old PCs. Fine-tune the Windows 8 interface to be more intuitive and less buggy. Fill its Windows 8 store with enterprise apps that make better use of the touchscreen. Add more enterprise-specific features to Windows 8 and integrate them more tightly with Microsoft’s server and commercial cloud products. Enterprise adoption of business-friendly Windows 8 tablets would help cement tablets as a replacement for PCs for office workers. Meanwhile, enterprise success for Windows 8 tablets means more enterprise developers will need to write more custom applications for the platfo! rm. A fe w enterprises have already begun. For instance, Rooms to Go, a furniture retailer with $1.3 billion in revenue, developed a Windows 8 app for its showroom that lets salespeople on the sales floor help customers on the spot, rather than marching customers back to a Windows workstation. The influx of tablets into the enterprise has already hurt the PC market, particularly the low-end, low-power netbook market. 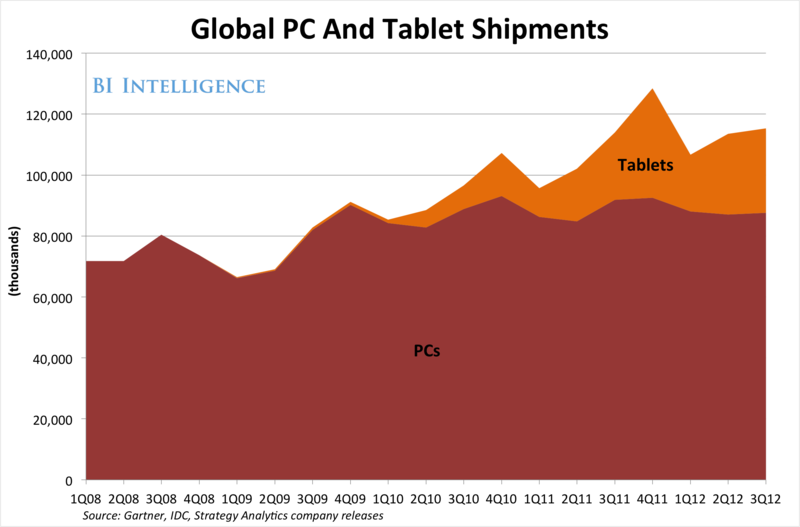 PC shipments have basically been flat since the iPad launched the tablet market in 2010. IHS, a market research firm, has predicted that about 349 million PCs would ship overall in 2012, down from 353 million in 2011. “Not since 2001 — more than a decade ago — has the worldwide PC industry suffered such a decline,” wrote IHS analyst Craig Stice. But there’s a clear limit to how much the tablet can erode the PC market, even if Windows 8 enterprise tablets are a wild success, at least within the next three years. Some professions will need a more powerful computer than a tablet. These are the same professions who still use high-end desktop computers today: graphic designers, analysts, computer programmers, and so on. Interestingly, the upswing in tablets in the enterprise could eventually have a boomerang effect and help! the des ktop PC market grow again. Forrester analyst Frank Gillet foresees a day when workers will want a more powerful desktop machine parked at the office, and use a tablet as a portable device that syncs to the desktop, and to apps and documents stored in the cloud. This will hold true until there’s a major breakthrough in battery technology (which researchers are working on). Until then, there will be a trade-off between power and battery life for tablets, with most tablet makers opting for battery life over power. Just like there will be a lingering need for some professions to use high-end desktop PCs, other professions will have no use for a PC at all. Companies that were early to tablets are making plans for a certain proportion of tablet-only employees. Take German enterprise software company SAP, for example. The company began buying thousands of tablets in 2010. Today it has a fleet of 18,000 iPads and 4,000 Android tablets, mainly the Galaxy Tab and Galaxy Note, says Oliver Bussmann, SAP CIO. SAP is also currently testing about 50 Windows 8 tablets. Employees with certain jobs, such as sales staff or SAP employees that work on customer websites, are issued a tablet of their o! wn choos ing. Today, the tablet is an additional device that complements a PC, says Bussmann, but “we see more and more users” who don’t need their PCs once they get a tablet. He says the tablet-only employee will never be 100 percent of SAP’s workforce “but I think in the next 12 months, certain user groups” will get tablets instead of PCs, such as salespeople. As the company deployed all those tablets, the IT team started building apps for them and now has “50 mobile apps internally deployed,” Bussmann says. SAP is a software development company, so some of this app development was a matter of eating its own dog food, meaning using the mobile tools internally that it wants to sell to customers. But even so, SAP’s experience demonstrates a trajectory many other large companies will take. For instance, one of the internally developed apps lets sales reps access SAP’s internal data about the customer, as well as relevant information about a customer from social media and news reports. That way, as sales representatives “enter a customer meeting, they are always up to date,” Bussmann says. Beyond SAP’s own workforce, the company also sees clients adopting tablets, and SAP wants to support all their clients’ tablet choices, according to the head of SAP’s mobile division, Sanjay Poonen. “We want to be a Switzerland-style player,” and support iOS, Android tablets, and Windows 8 tablets, he says. Over the next three years, tablets will become a common tool in the workforce. They will be used for more than just checking email, looking at a web page, reading a document, or carrying a presentation. They will become a new class of business tool on par with a laptop, and a good percentage of employees won’t want, or need, anything more. Once employees own a tablet, even if they bought one themselves, they are likely to use it for work. For instance, 21 percent of owners of the http://w ww.businessinsider.com/blackboard/ipad-3″>iPad 3 say they use it for work, and, across iPad owners generally, 13 percent say they use it for work, according to Consumer Intelligence Research Partners. As tablets in the enterprise reach critical mass, more software and cloud services will be developed specifically for the tablet platform. Today “most tablet apps for the enterprise, which are few and far between, aren’t that interesting,” says Ping Li, a venture capitalist with Accel Partners. 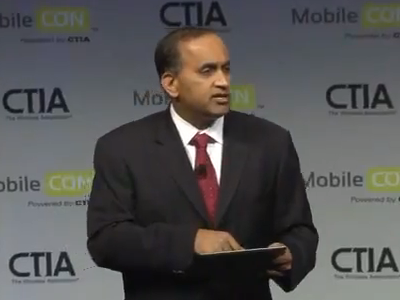 Li says he sees an influx of startups working on enterprise apps designed exclusively for the tablet. He offers as an example the spreadsheet, which is one of the most used, most popular enterprise apps of all times. But using it on a tablet with a touchscreen is difficult “because Excel is not designed” for a small touchscreen, he says. Tablet-specific apps have already begun to transform certain industries and certain roles within every enterprise. For instance, tablets are replacing paper catalogs in the pharmaceutical industry and the food distribution industry. Even as of 2011 most salespeople in these industries would still travel door-to-door with printed binders. Today they use an elect! ronic ca talog on an iPad, and tablet-specific order-entry software. Tablets have also changed retail point-of-sale (POS) systems. It has become a new device that retail clerks can use while they roam the floor working with customers. It is capable of doing everything from checking on inventory to ringing up the purchase. POS systems like those offered by LightSpeed, Revel Systems, ShopKeep, and POSLavu replace a PC-based cash register with a tablet. 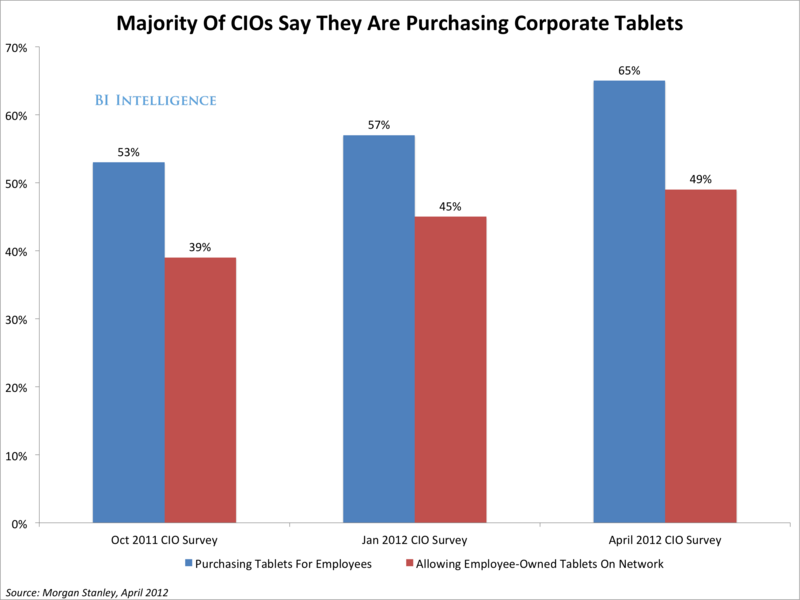 One-tenth of enterprise employees are already being issued company-owned tablets. Hundreds of thousands of employees may become mobile-only as PCs are phased out for certain job functions. Microsoft’s quest to create a tablet platform via Windows 8 will succeed in part thanks to enterprise preference for Windows. Windows 8 will lend impetus to a new wave of development focused on enterprise tablet apps. 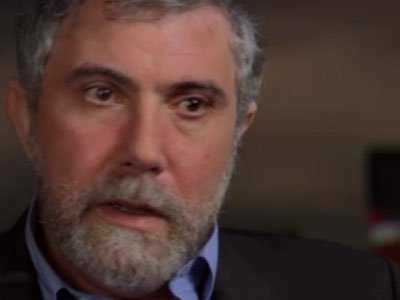 The focus of a few of Paul Krugman’s recent blog posts and his most recent New York Times column is robots and how they are fundamentally changing the U.S. labor market. The upshot of Krugman’s argument is this: income inequality has been increasing for years in the United States, but one of the major drivers that no one talks about is the increasing use of robotics in manufacturing and other industries to do jobs traditionally done by human laborers. About the robots: there’s no question that in some high-profile industries, technology is displacing workers of all, or almost all, kinds. For example, one of the reasons some high-technology manufacturing has lately been moving back to the United States is that these days the most valuable piece of a computer, the motherboard, is basically made by robots, so cheap Asian labor is no longer a reason to produce them abroad. In a recent book, “Race Against the Machine,” M.I.T.’s Erik Brynjolfsson and Andrew McAfee argue that similar stories are playing out in many fields, including services like translation and legal research. What’s striking about their examples is that many of the jobs being displaced are high-skill and high-wage; the downside of technology isn’t limited to menial workers. Indeed, we’ve seen this taking shape even on Wall Street, where investment banks like UBS are laying off credit derivatives traders and replacing them with computers that trade off signals generated by internal algorithms. That example reflects another of Krugman’s assertions: the robotics revolution may be a major driver of increasing income inequality. If this is the wave of the future, it makes nonsense of just about all the conventional wisdom on reducing inequality. Better education won’t do much to reduce inequality if the big rewards simply go to those with the most assets. Creating an “opportunity society”, or whatever it is the likes of Paul Ryan etc. are selling this week, won’t do much if the most important asset you can have in life is, well, lots of assets inherited from your parents. And so on. I think our eyes have been averted from the capital/labor dimension of inequality, for several reasons. It didn’t seem crucial back in the 1990s, and not enough people (me included!) have looked up to notice that things have changed. It has echoes of old-fashioned Marxism — which shouldn’t be a reason to ignore facts, but too often is. And it has really uncomfortable implications.! Finally, Krugman offers a few alternative explanations for the increasing shift of income distribution toward capital and away from labor that don’t feature robots so prominently. One is the idea that monopoly power – made more ubiquitous by growing business concentration in the United States which allows big producers to control prices more effectively – may be a bigger culprit. Mobile users are heavily engaged on their devices at the shopping mall, according to a recent report by JiWire, a location-based mobile advertising company. JiWire’s data flows from its network that serves ads to some 50 million mobile users. Enabled by public Wi-Fi access at thousands of sites, JiWire’s ads allow advertisers to target users at malls, restaurants, retail stores, school campuses, airports, and other sites. JiWire’s latest data reinforces some commonly held ideas about mobile device use, but challenges others. For example, ad requests were heaviest at shopping malls— more so than at restaurants, for example— revealing how mobile devices have become a valued tool for shopping and leisure. Other data showed surprising patterns. Ad requests were higher at hotels than at retail stores. And, finally, big-box stores saw more mobile ad requests than specialized retailers like clothing and electronic stores, despite all the hand-wringing over showrooming. Most people are happy to give their neighbours a spare house key in case of emergencies, but you probably wouldn’t want to give them your digital passwords. Now security researchers have shown that you may not have a choice, at least when it comes to cloud computing. Cloud servers let users run simulations of an ordinary computer, called virtual machines (VMs), on remote hardware. A VM performs exactly as an ordinary computer would, but because it is entirely software-based, many of them can run on a single hardware base. 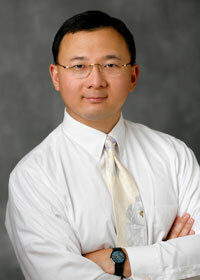 Yinqian Zhang of the University of North Carolina, Chapel Hill, and colleagues have discovered that it is possible for one VM to steal cryptographic keys – used to keep your data secure – from another running on the same physical hardware, potentially putting cloud-computing users at risk. The attack exploits the fact that both VMs share the same hardware cache, a memory component that stores data for use by the computer’s processor. The attacking VM fills the cache in such a way that the target VM, which is processing a cryptographic key, is likely to overwrite some of the attacker’s data. By looking at which parts of the cache are changed, the attacking VM can learn something about the key in use. Zhang and team did not test the attack in the cloud for real, but used hardware similar to that employed by Amazon’s cloud service to try stealing a decryption key. They were able to reconstruct a 4096-bit key in just a few hours, as reported in a paper presented at the Computer and Communications Security conference in Raleigh, North Carolina, last month. This attack won’t apply in all situations, as an attacker would have to establish a VM on the same hardware as yours, which isn’t always possible. What’s more, an attack would not work on hardware running more than two VMs. Still, those looking to use cloud services for high-security applications may want to reconsider. 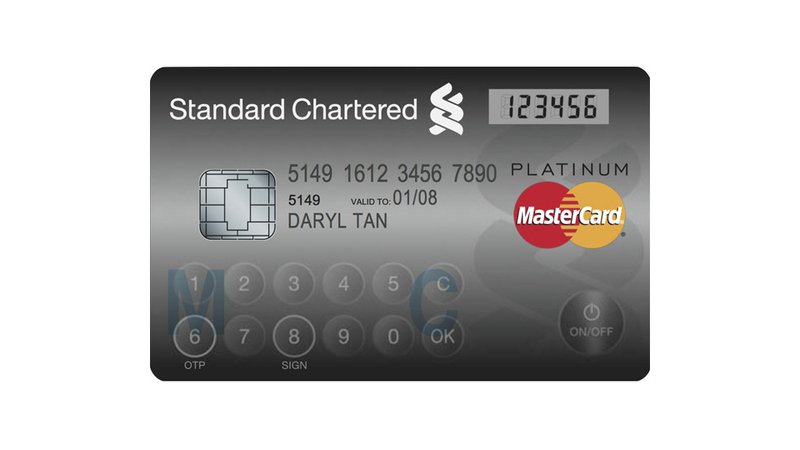 You can have your black card and your credit card carved out of adamantium (just kidding, I would really like that), the only credit card I want is MasterCard’s Display Card. MasterCard has been testing the card that comes with a LCD and touchscreen keypad, for some time and has now introduced it in Singapore. 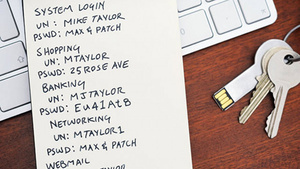 They say the added tech is for security: users can generate a one-time password as an authentication security measure. At present, banking institutions that necessitate a higher level of security for their online banking services require the use of a separate authentication token or device. The innovative 2-in-1 device, which combines the functionality of a standard payment card with a state-of-the-art security token, currently reflects the customer’s OTP. In future, this card could incorporate additional functionalities and be able to indicate other real time information such as available credit balance, loyalty or reward points, recent transactions, and other interactive information.